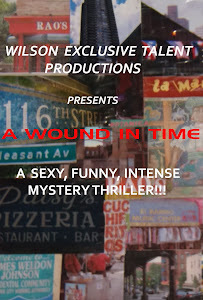 A WOUND IN TIME: GROUP AUDITIONS SET FOR AUGUST 13TH! Group auditions for replacements, and standbys for "A Wound In Time" and "Blood Makes The Red River Flow" for Off Broadway runs are set for August 13th. I love group auditions. They are truly lots of fun for the castee as well as the caster... LOL Actors who submitted and who were contacted previously will be notified about available evening slots and location via email by August 9th.